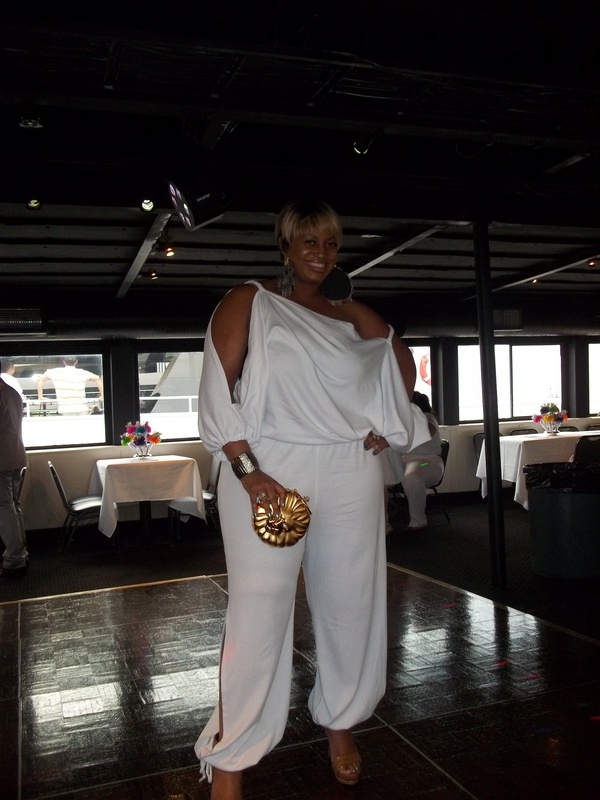 Ok, now for the outfit that I wore to the Full Figured Fashion Week™ 2011 “White on White Sunset Cruise”. As I stated in my last post, I don’t have any white in my wardrobe. It’s just not a color that I usually feel comfortable in. But I think that I may have changed my mind on that. The requirements for the cruise last night were that you had to wear all white. This was the outfit that I had the most difficulty in locating. Literally, I received this jumpsuit in the mail the day that I left for NYC. I had ordered a dress a few weeks ago but was hesitant because it was from a popular plus-size site and I did not want someone wearing my exact same outfit. (That’s my biggest pet peeve about FFFW since so many of us plus-size ladies shop at the same stores). 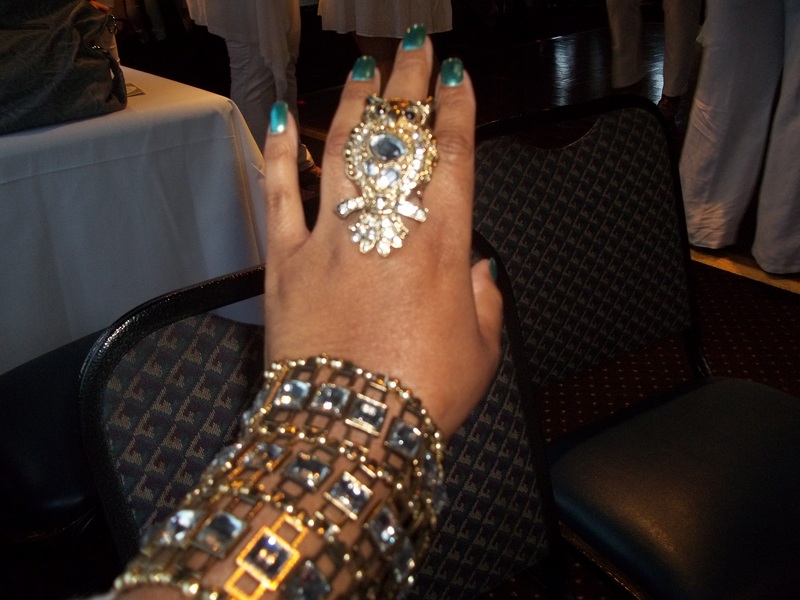 But thanks to Ms. Desiree Fleming of “Voluptuous You” in Florida, I was a one-of-a-kind in my outfit. I just so happened to come across pics from her new collection on facebook last Saturday and was blown away with this jumpsuit. The model had it on in blue and when I went to the website I realized it also came in white. I immediately emailed Desiree and my first question was, “Has somebody already ordered this in white for FFFW?”. I was so elated when she said no because it was a new product. I ordered it ASAP. Ms. Desiree was so polite and professional, she even made it custom to my liking. Since I told her I would be wearing a spanx underneath she altered the side split for me so that it would be shorter to hide my foundations underneath. She made the jumpsuit in cotton knit with spandex for me so that it would be a cooler material and flatter my shape better. The original version of the jumpsuit on the site has straight legs but Desiree made mine with drawstring per my request. Overall, I loved the outfit and how it fell off my shoulders and the sexiness of the leg split. 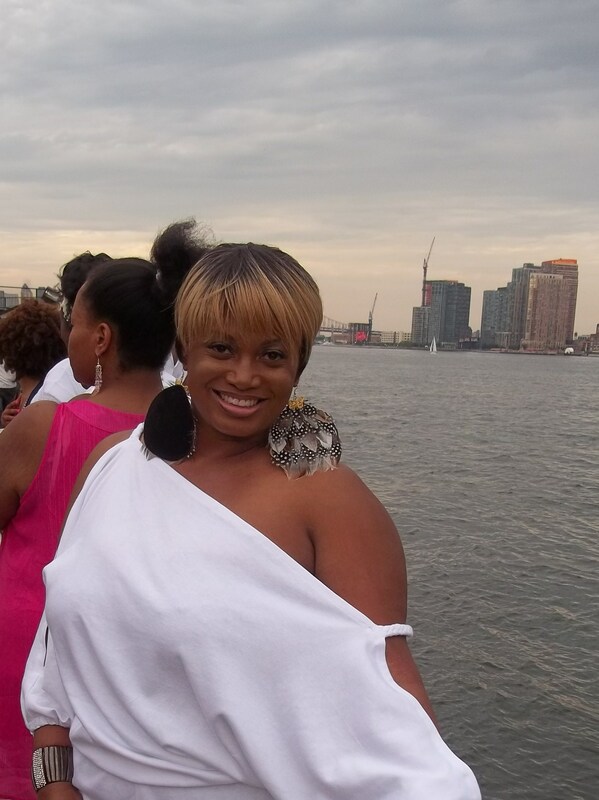 I was very comfortable in it all night and felt confident in my white. Many attendees said they liked the outfit as well and I’m sure to have gained some new clientele for the “Voluptuous You” brand. I personally will be a repeat customer. If you can get one-on-one customer service from a designer, custom personalized details to an outfit and speedy shipping, I’m definitely gonna be a new longterm client! REGULARLY $95 ON SALE $75. OFF THE SHOULDER JUMPSUIT WITH SLITS ON SLEEVES FROM SHOULDER TO WRIST AND ON SIDES OF PANTS FROM HIP TO ANKLE. AVAILABLE IN RED, BLUE, BLACK, WHITE, ORANGE, PURPLE, PINK, BROWN–SIZES 1X, 2X, 3X. Thanks Bella for giving Desiree such an outstanding reference regarding her designs. I’ve know her for years and have never felt that she has been given enough recognition for her accomplishments!! Correction: Thanks to BELLASTYLES FOR RECOGNITION OF THE DESIGNS PROVIDED BY DESIREE FLEMING OF VOLUPTUOUS YOU!!! u r knockin that outfit out…….BEAUTIFUL…. 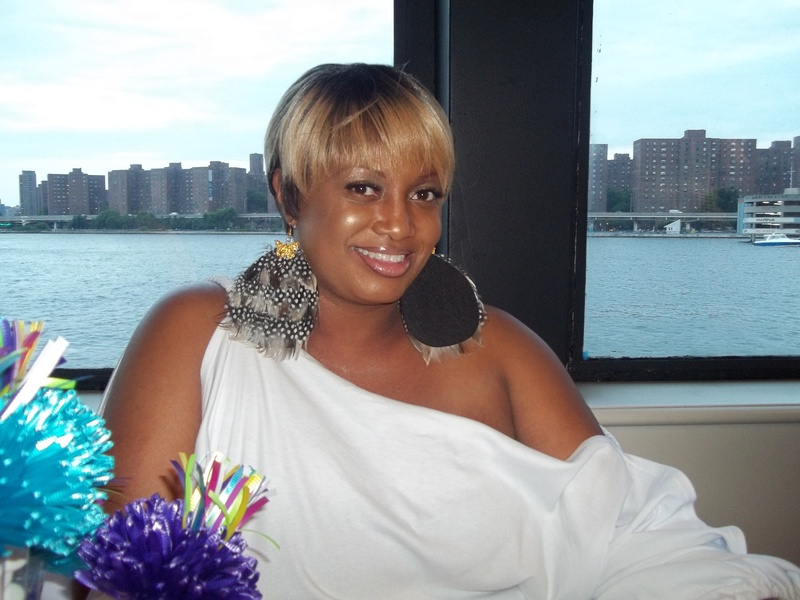 Iagree and give mad props to Desiree Fleming of Voluptuous You, she hooked you up and you looked FABO! Desiree is surely under-rated and under-stated as a designer and professional. I not only model for her, but I am one of her biggest fans and customers. When she makes an outfit for me I am never disappointed and whatever it is, it always fits perfect. Thank Bella for giving her the recognition she deserves.